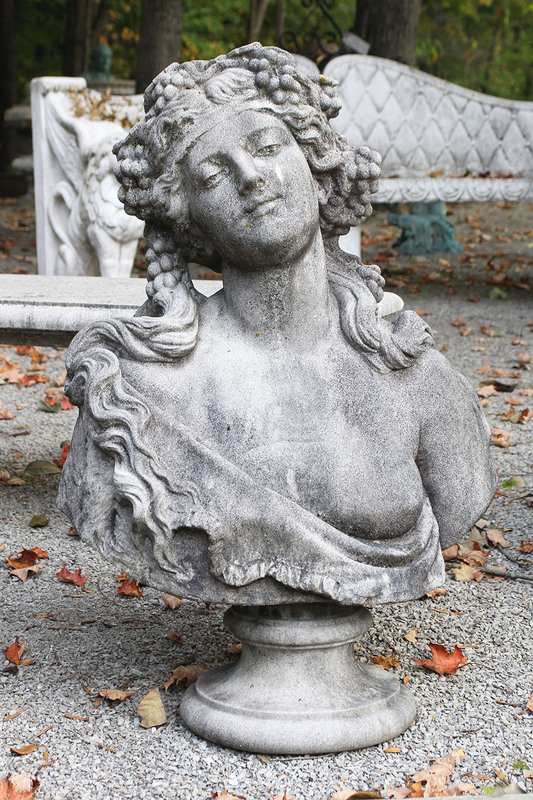 English cast limestone bust of a Bacchante. 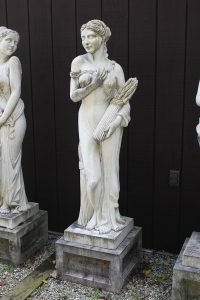 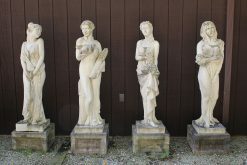 A Bacchante is a female follower of priestess of Bacchus, the Roman god of wine and celebration. 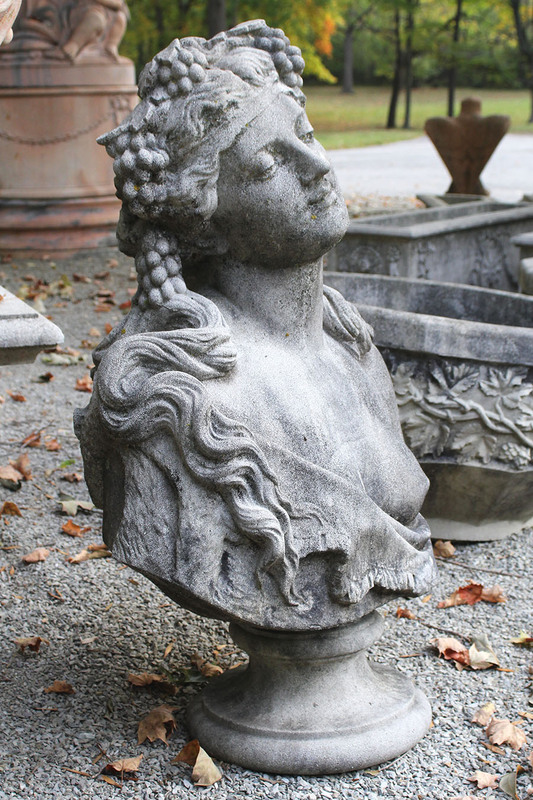 This bust features grape vines intwined in her hair and a loosely draped robe. 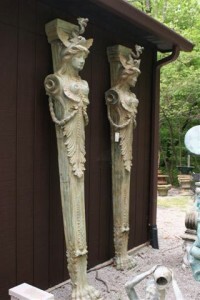 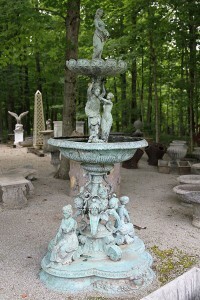 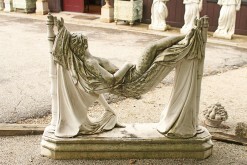 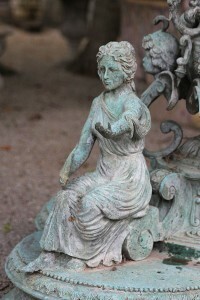 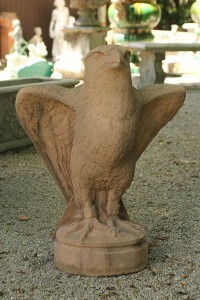 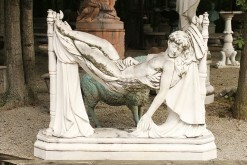 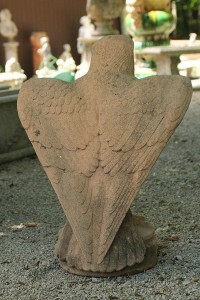 She is designed for display on a pedestal or pier cap.